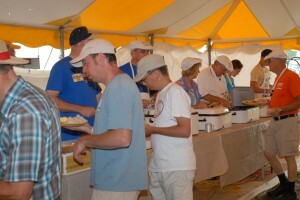 Each year Tall Pines Cafe´opens early to accommodate early arriving showplanes and serves both breakfast and dinner pre-convention. 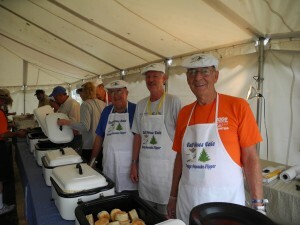 Low prices for high quality food prepared by caring Vintage volunteers. Breakfast: 6:30 am to 9:30 am. Scrambled Eggs, Pancakes, French Toast, bisquits and gravy or link sausage, choice of juice, coffee, tea or milk. Extra items ala carte. Dinner (pre-convention only): 5:00 pm to 6:30 pm. Tentative: Pot Roast Sandwich, sweet corn and trimmings. Check daily for supper menu changes. You won’t want to miss our freshly cooked breakfast! Tall Pines is located on the South end of Wittman Field, just north of the Ultralight runway. 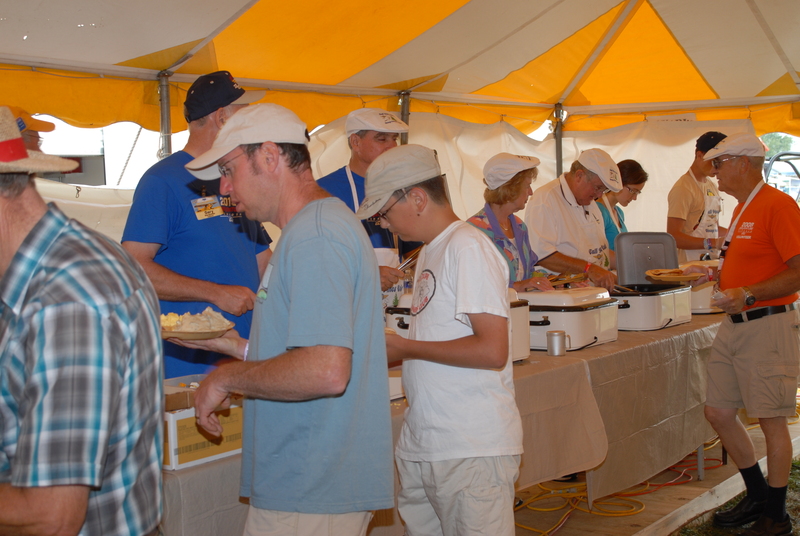 We are here to fill the food need for our many Vintage campers located on nearly two miles of runway. A tram is also available if you are coming from the North end of the field. 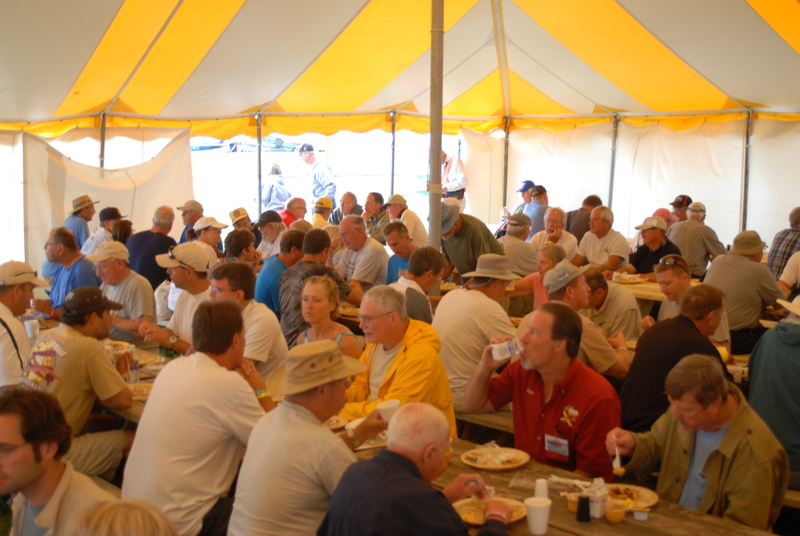 2019 CONVENTION HOURS – 6:30 to 9:30 am Monday through Friday. Open Saturday depending upon remaining supplies. Breakfast: 6:30 am to 9:30 am. Scrambled Eggs, Pancakes, French Toast, bisquits and gravy or link sausage, choice of juice, coffee, tea or milk. Cost is $8.00 Extra items ala carte. We may be open Saturday depending upon remaining food quantities. We will post notice during the week for Saturday hours. VOLUNTEERS NEEDED: Would you like to become involved? 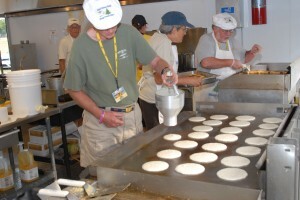 Tall Pines Cafe is looking for a few good men and women who can work two or three mornings during convention week. 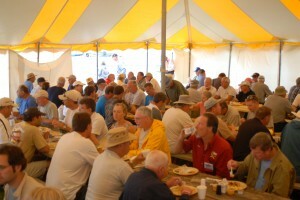 Meet new Vintage friends, have a good time, and know that you are helping The Vintage Aircraft Association. See Steve Nesse or inquire at the Volunteer Center outside our Red Barn. Join us and have it all. Tall Pines Cafe´is operated entirely by Vintage Volunteers as a service to Showplane Campers, their families and Vintage guests. 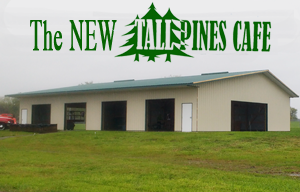 We created Tall Pines several years ago because our pilots and guests did not have ground transportation and commercial vendors were not interested in providing food service at the south end of the field.